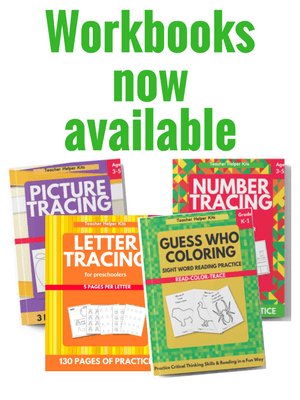 Counting is a skill that young children need to master in order to become proficient in addition and subtraction. 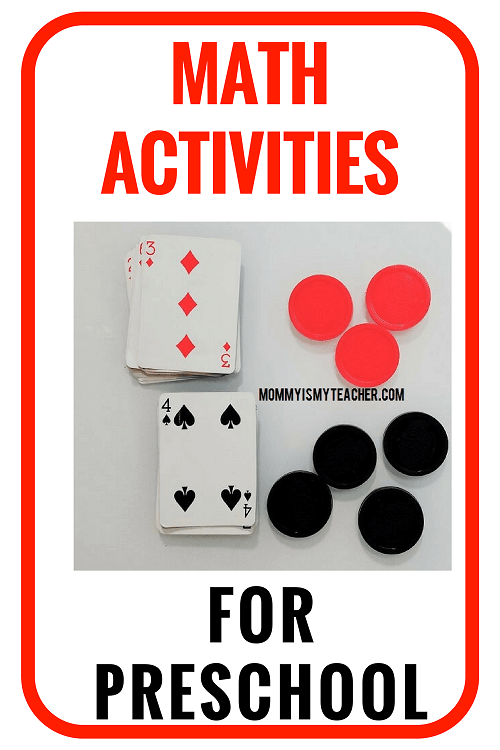 Here is a fun activity to practice counting using playing cards and checkers. 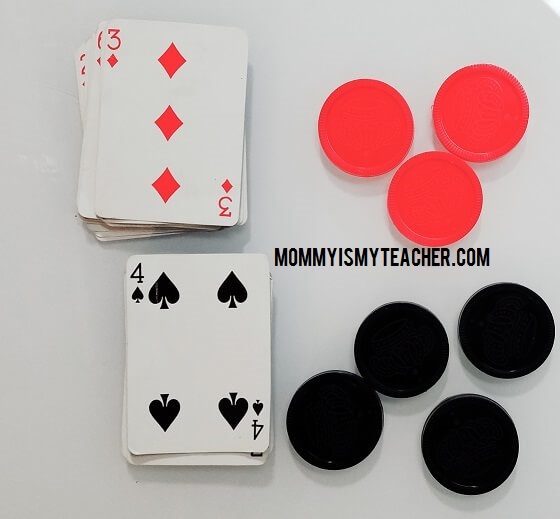 Since my twins were playing together, one was red and the other was black. I separated the cards and the checkers into their own decks. Then they flipped the cards and chose one. They can use one card to count the number. For more advanced fun, have your children count the cards together.